We are regularly being contacted for fundraising Ideas for PTAs – we understand that it’s lifelong job raising much needed school funds. Approaching parents to dip in their pockets for donations can be difficult and met with little enthusiasm, especially as we experience these difficult financial times. However, we can offer a fast, easy and painless way to raise funds for your school. All you have to do is contact us and we’ll help you organise a foreign coin collection! This is one of the best and newest fundraising ideas for PTAs. 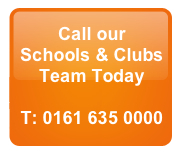 We literally help hundreds of schools and PTAs across the UK and we have some very happy customers. These are customers that come back to us time and time again and we are always happy to assist. Here at Cash 4 Coins we exchange all unwanted old coins and foreign currency that the banks will not change due to the costs incurred. Most of us have foreign currency stashed away in change pots up and down the country never to be spent so it’s a fantastic source of income for schools – and parents don’t mind donating it as it’s effectively worthless currency as it can’t be exchanged at the bank! This is why it’s one of the fastest growing and best fundraising ideas for PTAs. Many schools and PTAs have been taking advantage of the service that we offer as fundraising ideas for PTAs by organising foreign coin collections within the school and asking all the pupils to collect as much as they can from friends and family at home and bring it into school. We can assist with suggestions and ideas to get your collection started and ensure that it is a successful one, just contact our ‘school collections’ team for details. Once your collection is complete you simply send it to Cash for Coins, or we will collect it for free if it weighs more than 5kgs, we will then count it and make you an offer. If you are completely happy with the offer we will transfer the money to you straight away by electronic transfer, cheque or via a nominated paypal account. If you are not entirely happy with our offer we will return the currency back to you free of charge – so there is no risk… and that’s guaranteed! If you want to see what our customers are saying about us then go to our customer comments page. If you want to send us any currency then you can see more info at ‘how to send us coins‘ page. We make it so easy for you to send your coins to us and because we count and sort your coins for you, it frees you up to think of more fundraising ideas for your PTA. If you’re part of a school and looking for fundraising ideas for PTAs, contact us at Cash 4 Coins to get started with your collection. We offer free advice and hints and tips.